Situated in Blackpool, the family-run Come Ye In offers free WiFi in public areas. The Blackpool Winter Gardens are located within 400 metres of the p.. The Berkswell is located opposite Blackpool’s Sandcastle Water Park and 20 metres from the seafront. 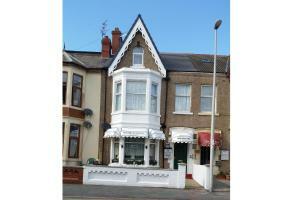 Just a 1-minute walk from the Pleasure Beach, i.. Featuring free WiFi throughout the property, Rock Dene is situated in Blackpool, 900 metres from Central Pier. Guests can enjoy the on-site bar. Room.. Situated 5 minutes’ walk from Blackpool Pleasure Beach, The New Osborne Hotel features regular family entertainment and has a games room and karaoke..
A 5-minute walk from the Blackpool Tower, Arncliffe Hotel provides bed and breakfast with an on-site bar. This hotel is just 2 minutes from the Hounds.. The Franklyn Hotel offers accommodation in Blackpool. Guests can enjoy the on-site bar. Guests will find a kettle and hairdryer in each room and also.. The Hotel Blackpool is located in Blackpool, 300 metres from North Pier and 500 metres from North Pier. Guests can enjoy the on-site bar. Rooms have .. 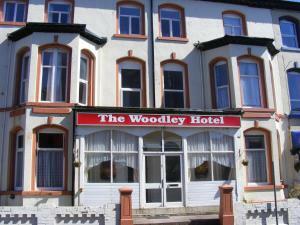 The Woodley Hotel is a family run hotel in the heart of the seaside town of Blackpool. It is located just a 2-minute walk from the Promenade and featu.. Featuring a seafront location on Blackpool's sea promenade, Lyndene Hotel offers a restaurant, free private parking, and free WiFi in all areas. The c.. 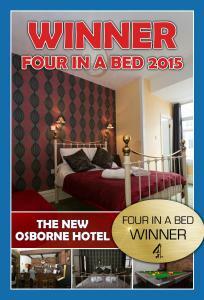 Featuring free WiFi, The Newholme Hotel offers pet-friendly accommodation in Blackpool. Guests can enjoy the on-site bar. Each room has a TV. You wil.. The Scala is located in Blackpool. Free WiFi access is available and the property offers free parking. The rooms offer tea/coffee making facilities. 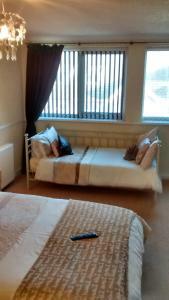 ..
Stockton Grange Hotel by the Promenade offers pet-friendly accommodation in Blackpool. Private parking is available on site. 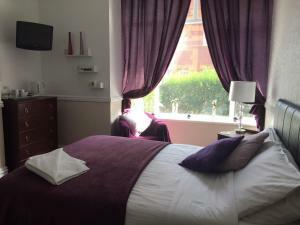 Each room has a flat-scr..
Theatre Hotel Guest House offers accommodation in the centre of Chorley. Every room has a flat-screen TV. Certain rooms have a seating area where you..
Just 6 minutes’ walk from the iconic Blackpool Tower, The Belvedere is a family run hotel complimented with free Wi-Fi and a bar. Situated in a seas.. 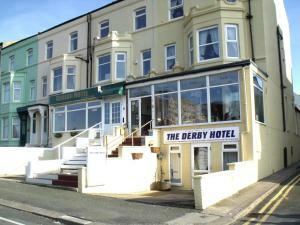 The Derby Hotel is set in Blackpool, 500 metres from North Pier. Guests can enjoy the on-site restaurant. The rooms come with a flat-screen TV. Certa..
Highbury Hotel is set in the Blackpool Centre district in Blackpool, 1.1 km from Blackpool Pleasure Beach and 1.2 km from Central Pier. Private parkin.. The Glenhaven is located in the Blackpool Centre district in Blackpool, 1.1 km from Blackpool Pleasure Beach and 1.2 km from Central Pier. The rooms .. Situated in Blackpooll, The Rothwell Hotel offers free WiFi access is available. On the seafront, there is a bus and tram stop within 200 metres of th.. 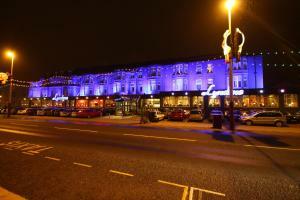 The Gresham Hotel is just 10 minutes’ walk from Blackpool’s seafront, the Tower and Illuminations. Set 500 metres from the beach, this traditional..